Do you need a little time to get away from this crazy world and just have some old fashioned clean fun? Well, do I have an evening plan for you. 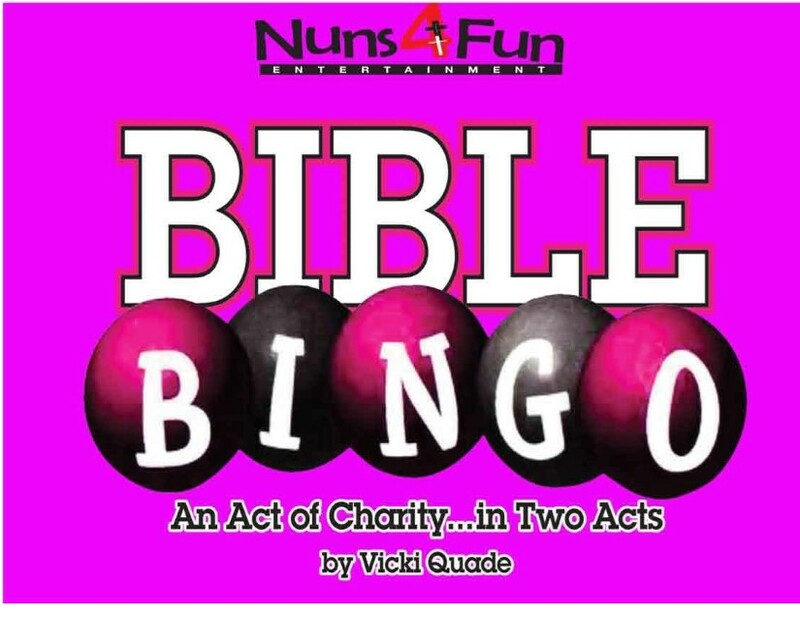 From Vicki Quade, co-creator of the hit comedy, Late Nite Catechism, comes a new, incredible hit called “Bible Bingo”. Bible Bingo is an interactive comedy about fundraising and bingo at a parish that is in desperate need of money. It will be a crazy night of bible trivia, audience interaction and lest I forget, great food as well. My good buddy Gary Fabre is preparing his homemade spaghetti sauce just for you. Rick Pratt and my other brother Knights are helping prepare you a meal you won’t forget. We are not only going to entertain you and feed you, but smother you with the greatest service this side of Disney Land. Mark your calendars for Saturday May 12th, 2018 from 6:30pm till around 10pm where you can relax, enjoy some wholesome entertainment and feel like a king or queen for an evening. Some years ago at MQH they put on a show called “Late Nite Catechism”. If you were around then to see that show and you enjoyed it, you won’t want to miss this new hilarious comedy. The dress attire for the evening should be what they call “Smart Casual.” For men, that might mean a nice pair of trousers—or very nice jeans—with a polo or button-up shirt. For women, the same thing, but a nice knee-length skirt is acceptable as well. NO SHORTS!! Fellow parishioner Terry Hoppenjans will provide some soothing music while you enjoy your meal with a dessert and maybe a drink from our cash bar before the show starts. In my quest to make Mary, Queen of Heaven the happiest place on earth, I am pulling out all the stops. I truly want to make this a very memorable evening for you. If it’s not a date night for you and your significant other, bring a friend, or maybe since it’s the evening before Mothers Day, maybe you can bring mom out for some fun. The cost for an enchanting evening like this is just $20.00 a ticket! WOW!! All proceeds will go to help support our Playground initiative. Our after school crew lead by Jennifer Jett has offered to watch your little ones for free. Sorry we can’t watch babies!! Come, change your plans if you have to, let us come together and have some fun. It will be an absolute blast, I promise you will have so much fun!! !